What about old Harry Nilsson, brilliant wasn’t he? Although he was never one for performing live, he more than made up for it by making some superb music in the studio. He was a wonderful singer and an absolutely top-notch songwriter. It’s one of those strange and ironic quirks of fate then that Harry, probably best known to the public at large as the singer of two fantastic hit singles, didn’t actually write either of them himself. 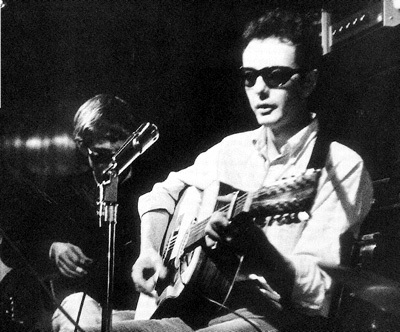 Which brings us neatly enough to the main subject of this piece, Fred Neil. Well, in a minute anyway………. Nilsson’s biggest hit, a smash in 1971, reaching #1 in the USA, Canada, the UK and many other places, was “Without You” which was written by Pete Ham and Tom Evans from the group Badfinger. It was a great song but even better, for me anyway, but selling slightly less, was “Everybody’s Talkin'”, which had been a #6 hit (USA) in 1969. That particular beauty featured famously on the soundtrack of “Midnight Cowboy” and was written by none other than the aforementioned Fred Neil. Which is where we should have come in really and where we leave Mr. Nilsson, sorry Harry! Born in Cleveland, Ohio Fred was raised mostly down in St Petersburg, Florida. He taught himself to play guitar, apparently during long hours spent on the roads of the southern States with his father who was in the jukebox business, a rep for Wurlitzer. 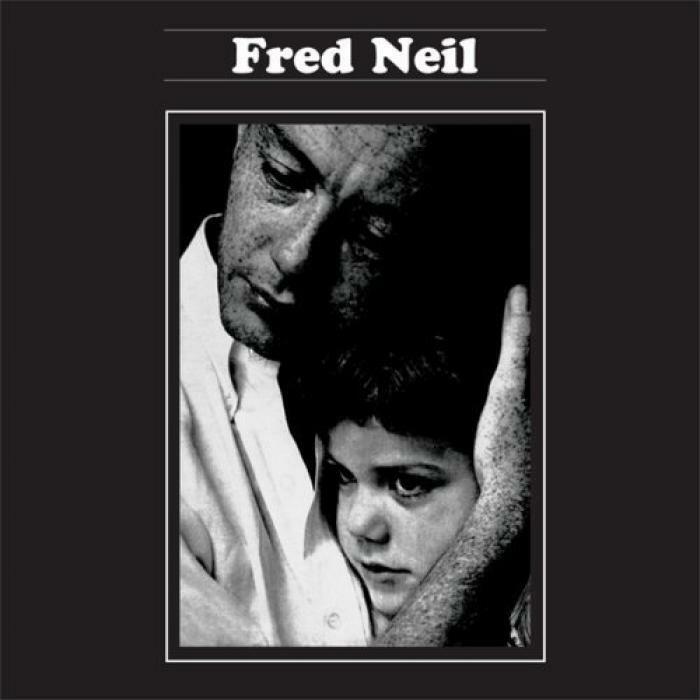 A bit of a child prodigy by all accounts, Fred turned up in New York in the late 50’s (aged about 23) where he was a professional songwriter and he scored some early success when he had songs recorded by Roy Orbison, “Candy Man” and Buddy Holly “Come Back Baby” ( co-write with Norman Petty). So far so good but soon enough Fred decided to head out on his own as a solo act and he quickly cut , rock n roll styled, singles for a few labels , Epic and Capitol among them. Nothing really took off and by the early 60’s he had immersed himself in the folk and jazz scene at Greenwich Village, doing acoustic gigs and hanging with the likes of Lenny Bruce, Karen Dalton and Bob Dylan, who backed him on harmonica at a few shows. After a while he formed a duo with Vince Martin and they were quickly snapped up by one of the most influential labels of the time, Elektra Records. The resultant album Tear Down The Walls is a decent effort but didn’t make much of an impact and they went their separate ways soon after with Fred staying with Elektra for his debut solo effort Bleeker And MacDougal. Released in 1965, it was a step up, a superb album which is well worth seeking out and one which showcased Fred’s wonderful songwriting ability, not least on “The Other Side Of This Life” and “A Little Bit Of Rain”. It also had superb cover art (very evocative of the times) and featured a young chap called John Sebastian on harmonica. It set things up nicely for what was to follow. For his second solo album, Fred created a masterpiece. Q: When is a folk album not a folk album? A: When it’s a progressive, acid-tinged folk/rock work of beauty which takes things to a whole new level. And that’s exactly what Fred Neil was at the time, a completely new take on what was previously just good old ‘folk” music. It took the genre forward and was an important bridge between the old style and the emerging singer/songwriter movement. It was a groundbreaking work which proved to be very influential. Didn’t sell too many copies mind you ! It’s actually a bit of a shock, when you’re first getting into it, to realize that this album was recorded in 1966, it sounds as if it should be a contemporary with the likes of Van Morrison’s Astral Weeks and Tim Buckley’s Happy/Sad, two superb albums which often get credit for doing what Fred Neil had already managed 2/3 years previously. Which is not to try and diminish them in any way, both were, and remain, classic albums. 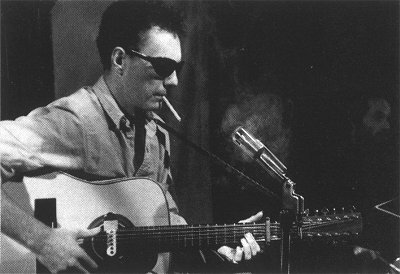 Fred Neil had a wonderfully warm and rich voice but he could make it sound as haunted and world-weary, as lonely as an Edward Hopper painting. He also sounds, often, like a guy who doesn’t even want to be here which indeed appears to have been the case. As the songs tell us, New York living and the weather got him down and he longed to return south to Florida, something he duly did at every opportunity. Musically we’re in acoustic territory, layers of guitar under-pinned by stand-up bass with the occasional pin sharp electric over the top of it, like a diamond glinting through fog. Fair enough , that’ll be that then ! There was a quite breathtaking version of this recorded by Tim Buckley and many more have sung it, a bit of a standard in certain circles, wherever good music is appreciated. The album didn’t do very well , I can’t find a chart placing for it at all, but it was reissued in the wake of the Nilsson success and re-titled (not surprisingly) “Everybody’s Talkin”. One can only assume it fared slightly better. As for Fred, well , he only made one more studio album ‘Sessions” which was far inferior and then a live one which seems to have been merely a way to fulfill his contract with the record company. A damn shame, he could have been one of the true greats. The financial success which the publishing of his songs brought him also gave him the freedom to do what he wanted which was simply to retire from the music biz almost totally and head back south where he became heavily involved in a dolphin sanctuary and charity. Fred Neil died in July 2001. He left behind a recorded legacy which was sparse but wonderful, 3 solo albums, one of which was superb and another which was an influential and groundbreaking work. I’d urge you all, strongly, to give this one a try and discover one of your “new” favourite albums! Reminds me a lot of Merle Haggard. what is 8 plus 8?